The Oslo Freedom Forum (OFF) is a platform for struggles that have been opaqued and ignored, a gathering for disruption in the name of freedom, according to its founder and CEO of the Human Rights Foundation (HRF) Thor Halvorssen. The conference series, produced by the HRF, seeks to address the freedom deficiencies of democracy and humanise human suffering by providing a platform for global activists to share their lived experiences. As appealing as it sounds, the OFF definition of freedom is shrouded in blind idealism, is deficient, and lacks nuance. 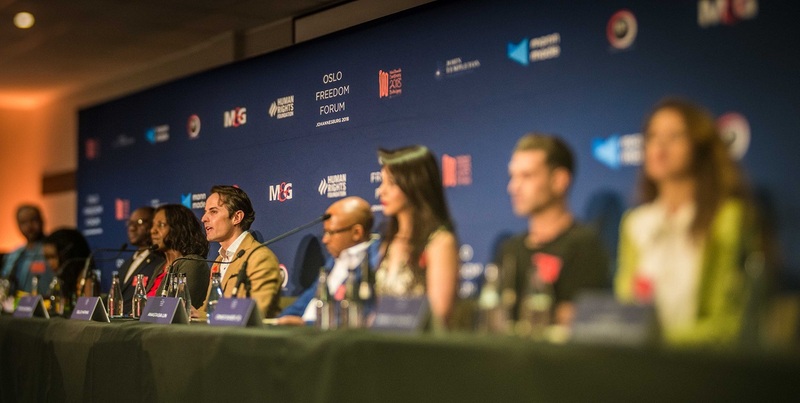 In the tenth year of OFF, and the 100th anniversary of Nelson Mandelaâ€™s birth, the HRF and the Nelson Mandela Foundation partnered up to bring the forum to South Africa for the first time since its inception. The conference brought the likes of #ThisFlag Zimbabwean civil rights activist Evan Mawarire, Arab Spring writer and journalist Iyad el-Baghdadi, Eritrean information activist and refugee rescuer Meron Estefanos, and Malawian girlsâ€™ rights activist Memory Banda among others to speak on their activism and their respective fights for respective freedoms. OFF advocated also for a model of liberal democracy for all to safeguard our freedoms. At the same time, its speakers stressed that governments will not bring social change. As Mawarire spoke of his experiences in his home country of Zimbabwe, governments are in the business of retaining power and not focussing on issues of social justice and the protection of freedoms. Halvorssen said its up to us to address democracyâ€™s failure. We cannot depend on governments of the free world to safeguard human rights. â€œWe are the ones weâ€™ve been waiting for,â€ he said. This means even when countries make the leap from authoritarian dictatorships to liberal democracies, the job of the citizen never ends. The citizen must continue to fight and strive for freedom. El-Baghdadi said of freedom that we are not free until everyone is free, and that our solidarity for the freedoms of others should cross borders. Eritreans must fight for Cubans, South Africans for Eritreans, and solidarity should be based on free or not free politics and ignore artificial divisions. This sounds like an excellent idea on paper but it implies that freedom is objective when it is not. It ignores the important questions – what is freedom and who decides what it is? Who decides the parameters of freedom? Who decides that liberal democracy is the best model to fit the government of all of the world regardless of context? There are power dynamics in freedom. These power dynamics were evident when Moroccan-born French free expression advocate and Charlie Hebdo journalist Zineb El Rhazoui spoke. El Rhazoui spoke of the freedoms that she did not grow up with in a Morocco that forced her to be Muslim and to be governed by Shariah law that dictated her freedoms. In Morocco, she was forced to cover up as a woman. However, her discussion lacked nuance because she failed to mention that France disallows women to cover up. If weâ€™re speaking about freedom for the sake of freedom, should we not protect freedoms regardless of what they entail? Should women not be allowed to wear the â€œblack garbage bagsâ€ as she called? No society – Moroccan or French – should be able to dictate the way a woman chooses to cover or not cover her body. Freedom should not be conditional – in the case of the French on whether or not you assimilate to their cultural norms and standards. And no one should be able to tell a woman how she should dress. Besides the politics of womensâ€™ bodies, there were also problems in OFFâ€™s treatment of the refugee crisis. Halvorssen stressed that there would be no refugee crisis if there were no authoritarian regimes. He said refugee crises happen because people are fleeing authoritarian wars. Halvorssen said that war does not occur between liberal democracies and their people. It implies that if people are all given their freedoms, there would be no reason to jump ship and flee your home country for clearer waters. This statement sounds simplistic. It ignores the questions of funding – who is funding the wars that happen in these authoritarian regimes? It ignores the root causes of authoritarianism – who controls Africa’s resources? It also ignores the effect of European colonialism on Africa and its effects on the current political and economic situation. Halvorssen went on to say that refugee crises give space for populism and allow politicians to use populist policies to push tribalism and create artificial divisions among people. It is no fault of the refugees that politicians are prone to xenophobic and racist incitement. No better example can be found than Israeli politician Miri Regev who called Sudanese refugees â€œa cancer in the bodyâ€ or Israeli prime minister Benjamin Netanyahu who refers to refugees as â€œillegal infiltratorsâ€. Regardless of how the refugee crisis started, refugees should be afforded the same rights and dignity that any human being is afforded. Words are damaging. 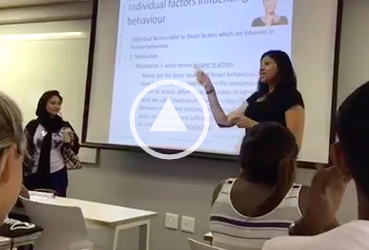 Words shape perception and attitudes – words can adorn people with freedoms or strip them of their freedoms. Just like we cannot call girl children being forced to marry older men in Malawi â€œchild marriage,â€ we cannot refer to refugees as â€œcancerâ€ or â€œinfiltratorsâ€. We cannot throw them in camps like they do the Eritrean and Sudanese refugees in Israel or give Ethiopian Jews birth control without their consent in a twisted forced eugenics. When you choose whose struggle you give a platform to, you decide who is afforded human dignity and human worth. OFF cannot claim to be neutral on the subject of freedom. It chooses which speakers from which backgrounds it picks, it knows what each speaker will be speaking about. In this way, certain freedoms are prioritised.